A river running through a large city often draws a barrier, a vs. line through it, which relates to standards, trends, lifestyle, music and culture. As a true resident of the NORTH for the past two years, I will admit that I very rarely find myself heading SOUTH. The northern suburbs of Melbourne evoke images of the bohemian era of the late eighties and early nighties. Twenty to thirty years ago, suburbs such as Brunswick, Fitzroy and Collingwood were the heart and soul of the drug infused artist community. These days the streets have more hipster run cafes than you can shake a stick at and enough tattoo clad people to start an ink revolution. Despite all of this and the somewhat pretentious attitudes of the cool kids on the block – I love it, grunge n’all. I myself have often stereotyped people from the south side. Discovering a real gem on that side of the river always takes me by surprise and breaks me away from my comfort zone. When I met up with dear friend Mr. T, I took the train south to North Brighton. 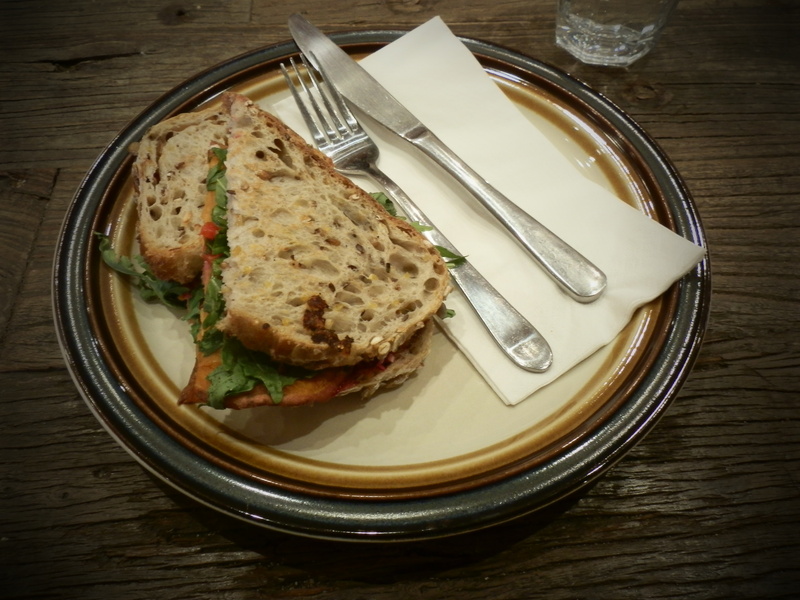 I wandered the pretty tree-lined streets on the hunt for a decent lunch. Every place I walked past seemed to exude yummy mummies and overpriced coffee. Mr T. and I were house mates for two years, so I trust he knows what makes me tick. His suggestion for our meet was the peculiar named TucciBrown (pronounced Tuchi Brown). Upon entering TucciBrown we are welcomed by the incredibly friendly staff, the fluorescent orange coffee machine and a beautiful counter made from reclaimed timber. Once we glanced past the café counter we realized that this was no ordinary café. For the crazed craft lovers out there TucciBrown offer some of the most beautiful stationery I have ever seen. Vintage style posters and papers imported from Eastern Europe, Korea, Japan and Nepal line the walls with colours of the orient. 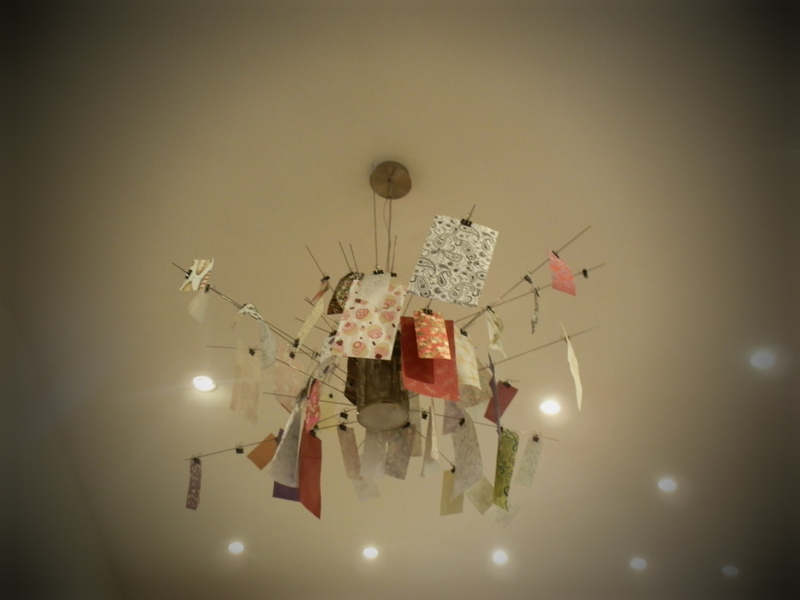 Calling TucciBrown a “stationery shop” really does not do this place justice. The food offering is light, fresh and healthy with a multitude of delicious wraps and melts available or house made salads jam-packed full of goodness, readily boxed for your convenience. Classes and workshops are available for both adults and children in the delightful classroom out back. From origami creations to dinosaur decorating, this shop-come-café-come-classroom is about inviting us in to enjoy a very special moment. After a perfect cup of coffee and a vegetarian melt full of roasted super foods and pan-fried halloumi, I gave myself time to explore the assortment of papers and diaries flooding the space. What I liked most about my time at TucciBrown was that the staff left me to my own devices. I was allowed to touch, look and play with everything on show without any interruption. 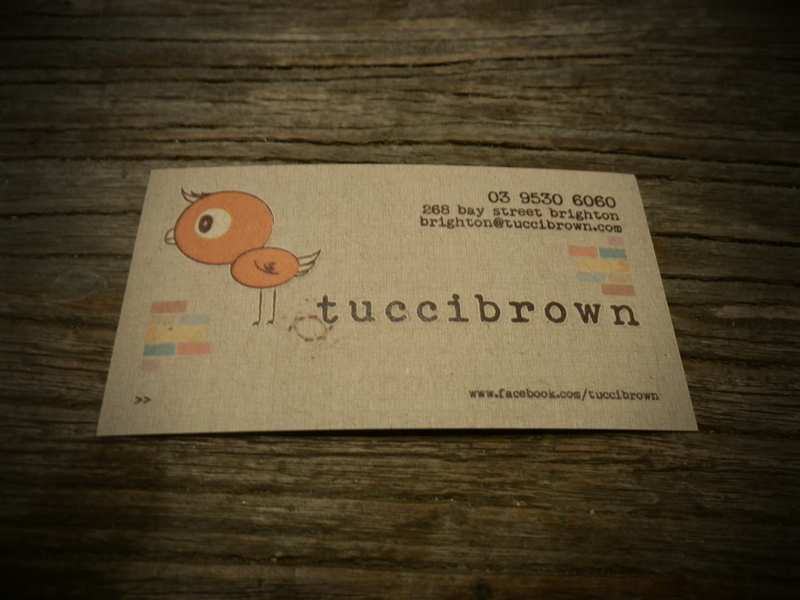 TucciBrown will definitely be one of my regulars– especially after hearing one has just opened on my side of the river.